Go! Go! Curry (or Kare) is an awesome place to dine at if you are (i) hungry, (ii) adventurous and (iii) have a small budget. 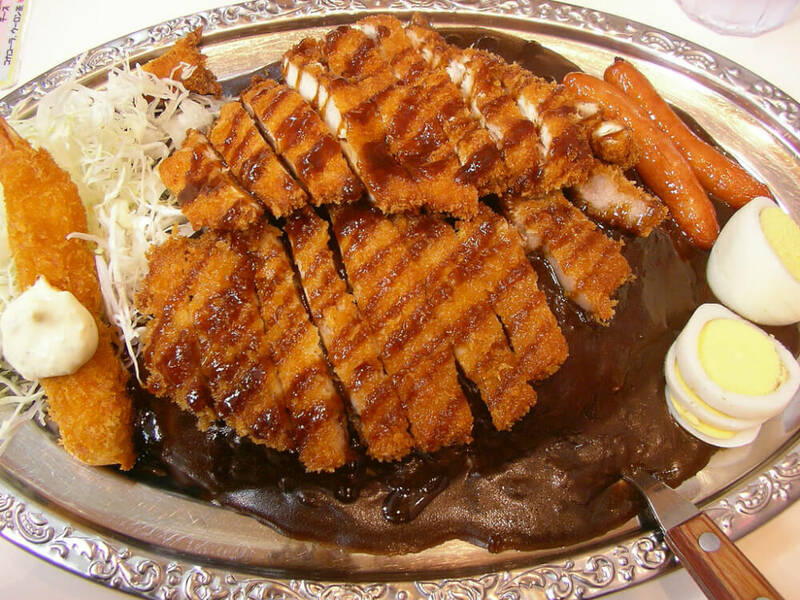 It serves Japanese-style curry with various choice of toppings such as chicken katsu, pork katsu and breaded shrimps. The cabbage is refillable for free and goes really well with the flavourful gravy. The chain’s success can also be seen in its numerous overseas franchises. Go! Go! Curry restaurants can be found almost everywhere in Tokyo (Akihabara alone has 3 stores) and often have a line of customers waiting. On special occasions (such as an opening ceremony), the basic katsu sets go for 55 yen (word play on “go” which is 5 in Japanese)!